Depending on my weekend, I might respond to this. Cause I think you are not aware of exactly what is going on here which is indicative of a larger trend in Western, especially, American culture. This ain't "irony" as such, especially not of the most annoying variety which you brilliantly illustrated in your post. IMO, it's a bit darker and troubling. But the last time I made a shot across the bow here about MLP: FiM, I was insulted by someone I thought I had a decent relationship with, falsely accused of numerous acts, and ultimately the poster left. This is not surprising given the ideological space MLP and specifically "bronies" exist in. But its a long week and weekend and I never feel well, so we will see. Jeremy, you must not however see this as gen-x ueber-ironism. Nor hipsterism. People wanted to know what would exist after hipsterism. Here it is. It extends elsewhere of course as well. By extending elsewhere do you mean making people such as yourself enjoy TV shows made for teenage girls? The creator of the show disagrees with you. Orthonorm and I have both watched the show. or of three witnesses shall a charge be established." FYI, you cannot like the show, that's fine. But what you are doing is attempting to mock or shame us, not cool bro, that's how you make enemies. The show is fine for what it is. But not for what it is not. No one here has shamed anyone else. Oh no! 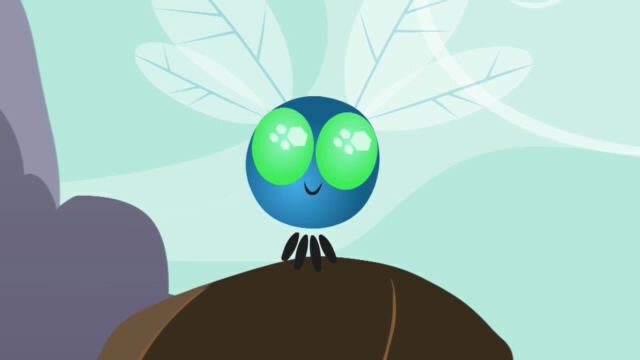 The worst thing you can do is make enemies of the adult male fans of a little girl's cartoon show about ponies! Unfortunately there are a number of slasher fanfics, so there are those who could come up with worse. 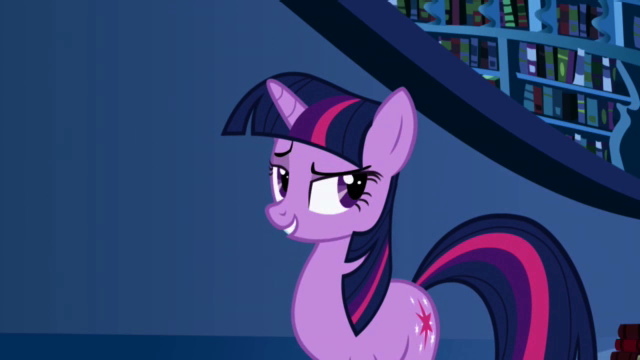 It ain't something to base your life around or fantasize about, or the whole "bringing Equestria to earth" crowd. There are "bronies" who honestly would rather be a cartoon pony than be a human. If you're gonna try to immanetize the eschaton, at least don't do it with ponies. Oh. Well there are people who do that, but they lead empty lives and basically let ponies fulfill their religious needs. They're kooks. But if it makes them better people, eh, whatev. I just like the show and some aspects of the community. That's all. Are there any zombie ponies? Oh. Well there are people who do that, but they lead empty lives and basically let ponies fulfill their religious needs. They're kooks. You mean they are idolaters. We need a King Jehu with a ministry to ponies. And an Elijiah to mock their sun god's inability to light a fire. “Call out with a loud voice, for she is a god; either she is occupied or relieving herself, or is on a journey, or perhaps she is asleep and needs to be awakened." Or pull a St. Boniface, round up all this pony paraphernalia and hack it to pieces with an axe. That gets the point across, too. Or go all conquistador priest and raze their sacred tomes. You do realize I'm a 6 ft 235 lbs professional athlete? You do realize you say this A LOT? Congratulations on your Strawman. Your whole argument is based on the fact all bronies are like that. Well, no one here is, BIG SURPRISE. Now go back to your sad life dude. Gets the point across that I'm not some nerdy little guy they can push around. I also have a temper. Just because you're swoll doesn't mean you can't be pushed around. That isn't nearly the only reason. Unless this guy has a black sash, I'm easily able to do what I need to just fine. You do realize that vaguely threatening people over the internet with violence because they've made fun of your love of a children's cartoon show, and constantly reminding everyone what a big guy you are, makes you look really insecure no matter what your size? I don't give two craps about you mocking the cartoon show. You are mocking me, you insignificant pest, you have no place to do so. I sense no insecurities here. Now bug off, you annoyance. Alright there, tough guy, calm down. We get it. 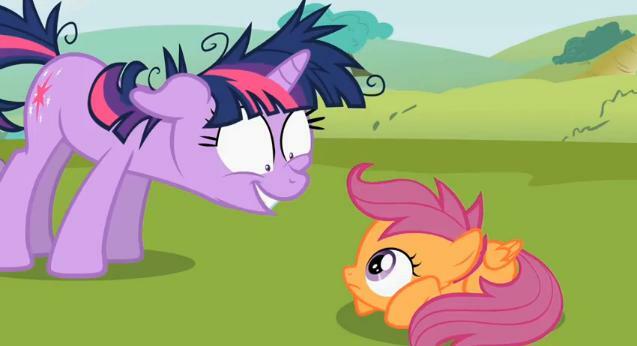 You like ponies, and it makes you really mad that other people don't get it and find it silly. But that remains the case no matter what over-the-top reaction you have to posts on an internet message board, so I think I'll stay right here and post whatever I feel like posting. In the meantime, I'd suggest that if you feel that your personal identity is so violated by my posts you either (a) stop reading them, or (b) get some kind of counseling and/or medication to deal with your anger issues. Probably both, because if you're so willing to come to blows over a silly Godfather reference in relation to your pony fixation, there's probably some deeper problem that should be addressed by a professional. And (again...I just love how I get so much use out of this on this forum), it bears keeping in mind that it's never okay to hit a person because you don't like words that came out of their mouth. You can learn that now or learn that in jail; either way, what you can't do is push me around because you're a big tough man who can't take being offended. Seriously, that's just ridiculous. I don't have an anger problem, I never have. Anyone who knows me knows I am about the calmest person you can meet. I'm just getting my point across. I don't have a fixation, I just enjoy a TV show, I don't care if other people don't. You are continually taunting us on this thread. I never threatened you, I just wanted you to know you can eat the words you posted earlier about mocking messing with me. If anyone needs a good anti-psychotic, it is the guy TROLLING THE PONY THREAD. You have been trolling for days, you have successfully gotten me to the point many don't. Congrats, you are a grade A pest. NOW GROW UP AND STOP TROLLING. And most importantly, learn to realize that you started this crap, and I was joking aloung for a while, but you need to learn when to stop dude. Get help. To be fair, his height and weight and which sport he plays and for which team and for how much money does change weekly. So he doesn't say exactly that a lot, but something in the ballpark of two inches, 20 pounds, and $250k. Technically I am 5'11". Yesterday I weighed 235 lbs. And I just signed my first fully pro contract about a week ago, prior to that I had a developmental deal? 20 lbs weight fluctuation is actually quite common for athletes depending on diet, running, weight lifting, etc, and so forth. Although I am fairly certain I have weighed no less than 220 lbs in the past 2 or so years. And I believe never over 245 lbs. This thread just became awesome. Don't stop. I never threatened you, I just wanted you to know you can eat the words you posted earlier about mocking messing with me. Oh come on...when they're one right after another like that...how can you not see that? Is this some new version of "no offense, but..."? Hahaha. You see, Celticfan1888, I find you too enjoyable to be really threatening anyway. I mean, if I ever see you playing soccer on TV or whatever, now I'll think "There's the guy who's super serious about My Little Pony". That's just funny to me. I just get annoyed (as would anyway) with your constant annoyance. Congratulations on your Strawman. Your whole argument is based on the fact all bronies are like that. What argument of mine are you referring to? Also, don't make me bust out my "hebrew of hebrews" ethos. 'Cause I will. Well I'm a level 10 vice president. "The show is fine for what it is. But not for what it is not." If anyone else has a mind to put confidence in Ponies, I far more: Cutie Marked on the eighth day, of the nation of Equestria, of the tribe of neckbeard, a Brony of Bronies; as to Friendship, a Magician; as to zeal, a persecutor of the Real; as to the righteousness which is in the Princesses, found blameless. But whatever things were gain to me, those things I have counted as [censored] for the sake of Christ. Okay. But what does the bold mean? I'm not reading you mate. I've seen the show since 2011. I think it's fine for what it is. I live in Seattle. So when geeky stuff goes wrong, I'm at ground zero. I've seen what it ought not be. Hyperdox Herman, is that you? Hi age 234! That's a wonderful set of...things...you have there. Really, even better than the last set...for some reason. "Philippians" already has a horse reference in it. Livestock are only allowed in the Church during hailstorms and other extreme acts of fallen nature. By what right do you allow those equines accursed of the Ark of Noah to enter on a day of mild rains?